Why Aren’t You Achieving Your Goals? – Whats your superpower? Why Aren’t You Achieving Your Goals? 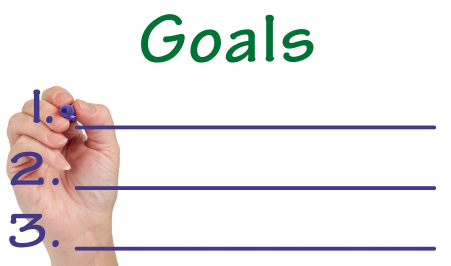 Nowadays a discussion around goal setting is usually accompanied by the acronym SMART. In order for you to achieve any goals they must be SMART: specific, measurable, attainable, realistic and timely. Specifics help us to focus our efforts and clearly define what we are going to do. Specific is the What, Why, and How of the SMART model however if you can’t measure it, you can’t manage it. When you identify goals that are most important to you, you can then begin to figure out ways to make them come true. You develop the attitudes, abilities, skills, and financial capacity to reach them. You begin seeing previously overlooked opportunities to bring yourself closer to the achievement of your goals. Realistic means “do-able.” It means that the learning curve is not a vertical slope; that the skills needed to do the work are available and finally if you don’t set a time, then your commitment is too weak. You will never achieve your goal without this component. Without a time limit, there’s simply no urgency for you to start taking action now! This process is simple, understandable, straightforward and doable so why – despite following this plan to a ‘T’ are you STILL not achieving your goals? What’s missing? We have to move setting goals from our heads into our hearts. Goal setting is not about being logical. It is not learning the formula and applying the formula in a very clinical way to your life. It requires some key ingredients if it is to work. So if you’re approaching the process as you were a math problem you are doomed to fail. The most important word for you to remember once you hear yourself saying “I wish”, “I want” or “If I could just” is ‘Why.’ Why? Well, for a number of reasons. It forces you to question yourself as to the real motivating force behind the goal and gives you the real reason why you want to achieve that goal. Sometimes when you discover what this is you may find that starting the side business in order to help you pay your bills or getting the magnificent house isn’t enough to motivate you to action. Let me explain. Every goal is made up of two factors – knowledge and feeling. A goal contains a piece of knowledge with a charge of feeling and it is that feeling alone that gives power to the goal. No matter how important or magnificent the knowledge content may be, if there is no feeling attached to this goal then nothing will happen. You have to become a detective in your own life. Imagine what you you’re going to get from owning a business on the side, clearing your debt or owning the huge house. Use adjectives – not nouns or verbs. Popular ‘O’ coach Martha Beck says that nouns and verbs are risky: They bring to mind “imagined situations,” as opposed to “imagined experiences.” You see experiences, (how the situations make us feel) and NOT the situations alone are ALWAYS what we really want! So start with a ‘why’ and make that ‘why’ HUGE. So your huge ‘why’ for getting out of debt fast might be that you just don’t sleep well and you somehow suspect that all the worrying that you’re doing at present may affect your health negatively and compromise the time that you have with your kids. This isn’t good for you, especially as a single parent. Now, forget about the fantasy situation you imagined and focus on the adjectives. Your adjectives might include strong, confident, healthy and unstoppable. These four words will bring your stated goal into sharper focus, help you fine tune your strategy towards achieving it and of course your ‘BIG WHY’ will keep you motivated. SMART goal setting is important. This is the knowledge you need. But remember that your head and heart must be involved. If you find yourself pining for a particular achievement, longing for some goal, take a moment to determine your why, and then go fishing for adjectives to describe how achieving that goal is going to make you feel. Focusing your attention on your feelings will make your experience real right now and help you to create the future situations that fulfill your truest desires and ultimately your goals.